It’s tempting to believe that how well (or badly) people respond to negative feedback to simply be a product of their own personality quirks. Transactional Analysis however tells us that the outcome of these interactions is predicated not only on the attitude of the receiver of the feedback, but also on the mindset or attitude from which it comes. Developed by Canadian born Psychiatrist Eric Berne in the 1950’s the theory is that all human beings possess multi-faceted personalities and that these different aspects of their personalities are susceptible to change whenever we relate to one another. Berne identified three observable and distinct core ego states, which he defined as Parent, Adult, and Child. The Parent state has its origins in the behaviours, thoughts and feelings assimilated (and emulated) from parents or other parental figures and is formed by the influences that affect us as we develop through our early childhood. The Parent state can be that of the Nurturing Parent whose qualities are positive and affirming or Critical Parent, representing the authoritative, disciplinarian and prohibitive aspects of parenting and society. The Child state is the ego state in which we behave, react and perceive in a similar manner to how we did as a child. Child state interactions can include anger, tears and tantrums, in a reprise of the feelings and emotions from our childhood. As with the Parent state, there are two possible aspects to the Child state. They can either rebel against any kind of authority (Rebellious Child) or they can conform, adapting themselves to the wishes of those around them (Adaptive Child). In the Child state, our responses are primarily driven by the emotions we are feeling. On the plus side, the Child state also reflects a more light-hearted, free-spirited and spontaneous aspect of our behaviour. These two, often conflicting ego states are kept in check by the Adult state, through which we are enabled to draw on our comprehension and analysis of our environment – both internal and external. The Adult state has the capability of calling upon the resources of the other two states and achieving a balance between the two. The Adult state is open to here and now and is characterised by respect for the other person as an equal and an awareness of all life experience, as opposed to just the parent or child experience. All of us have the potential to behave from Parent Child or Adult ego state and even in one interaction, we might alternate between these states. Back to the example above where the manager has to give negative feedback, his use of the ‘tell off’ frame has overtones of Critical Parent. This in turn can evoke either form of the Child response – the Adaptive Child being submissive and apologetic accompanied by feelings of shame and low self-esteem; the Rebellious Child being resentful and defensive. Playing things out a little further the Adaptive Child response might then prompt the Manager’s Nurturing Parent ‘Ah you’re not so bad after all, come now, dry your tears’ or even more of the Critical Parent ‘If you don’t … then I will have to…’. 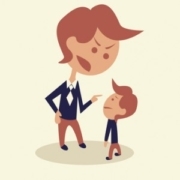 In the former, the Critical Parent-Adaptive Child interaction might seem to be effective but in the long run, does not allow the employee to develop their own Adult ego state. In the latter, conflict will ensue, the Rebellious Child pushing back and each becoming more polarised in the relationship. Alternatively, the manager can approach the situation with an Adult ego state although this is certainly no guarantee the interaction will be plain sailing. 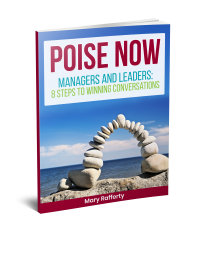 Just yesterday a Manager I was coaching was reviewing how a ‘difficult conversation’ she had prepared for with an employee on her team. She planned and succeeded in framing her interactions from an Adult state of mind e.g. being calm, factual, objective, non-blaming or judgmental albeit giving a key message about expectations around objectives not having being met. Despite this the employee had a Rebellious Child reaction, saying it was unfair, raising her voice, counter-arguing and saying she would go and report the situation to HR (whom perhaps she perceived as a Nurturing Parent?). The Manager herself felt positive about the fact that she had not reacted by either backing down or rebelling herself ‘well I am the Manager’. Of course the employee also has the prerogative around which ego state they can respond from. The Adult state response to the Critical Parent would be to listen, invite details and clarification and if necessary apologise and amend their actions. An Adult response to feedback neither resists and defends nor does it self-flagellate and become overly dependent on the approval of others. A harmonious, professional working environment is only achievable, in the context of the theory of transactional analysis, by all members of the workforce seeking to ensure that their behaviour is either predominantly “Adult” or reflects the more positive aspects of their “Parent” or “Child” state. Failing to ensure that the more positive ego states predominate risks creating (and maintaining) a workplace where (unresolved) conflict, hostility and misunderstanding are in constant evidence, with the inevitable impact on morale, efficiency and productivity.